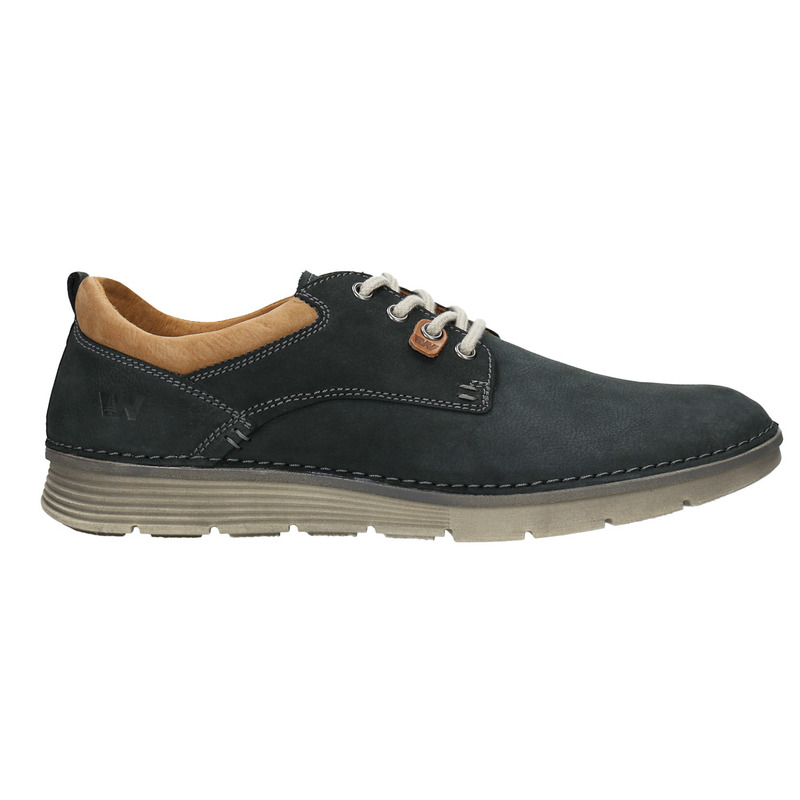 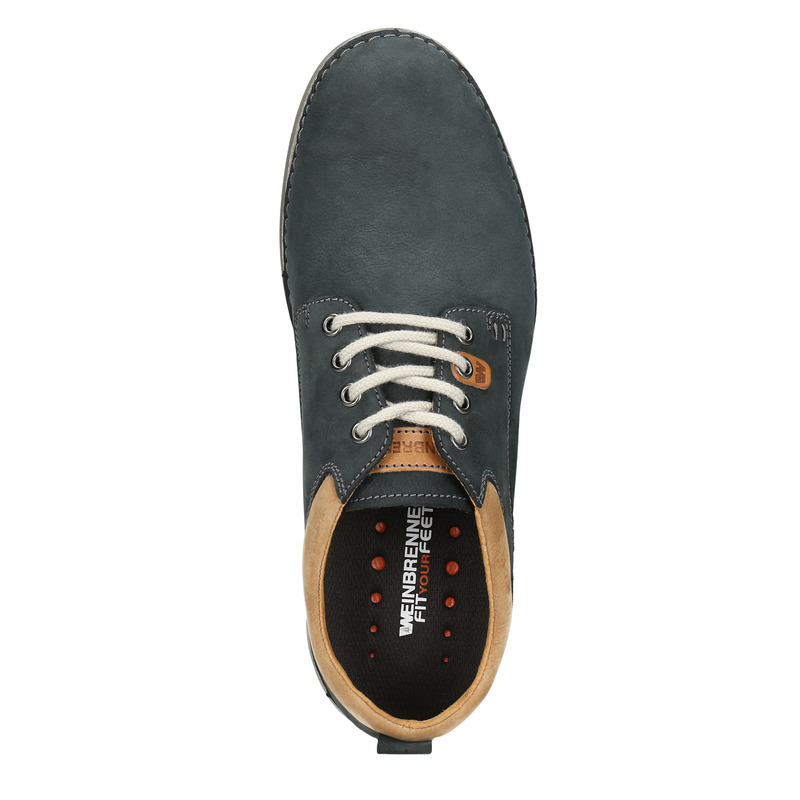 These men's Weinbrenner shoes have a brushed leather upper in a dark blue shade. 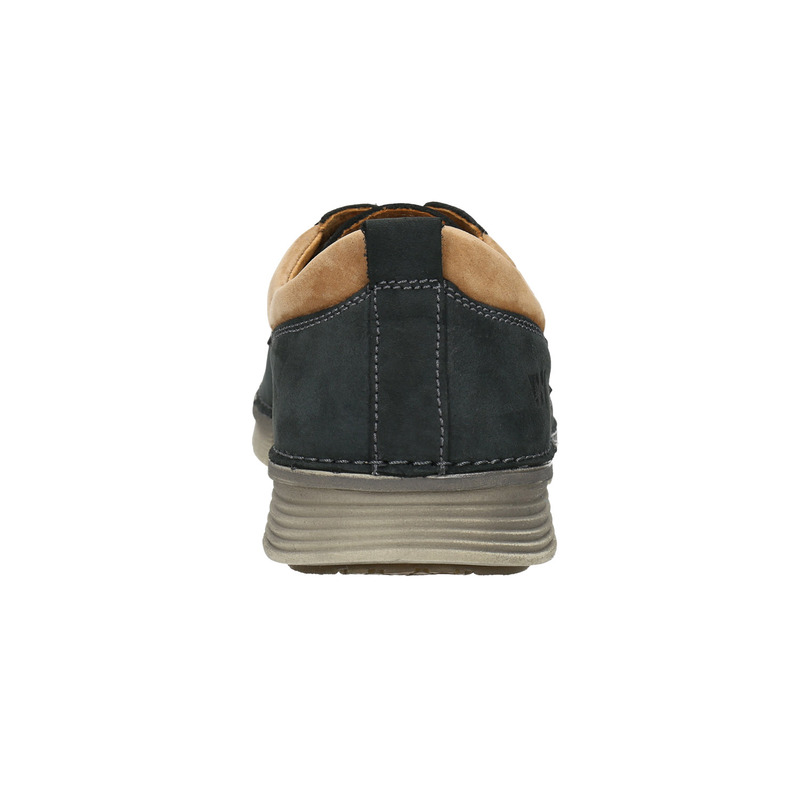 The comfortable sole is stitched to it and is thus very springy. 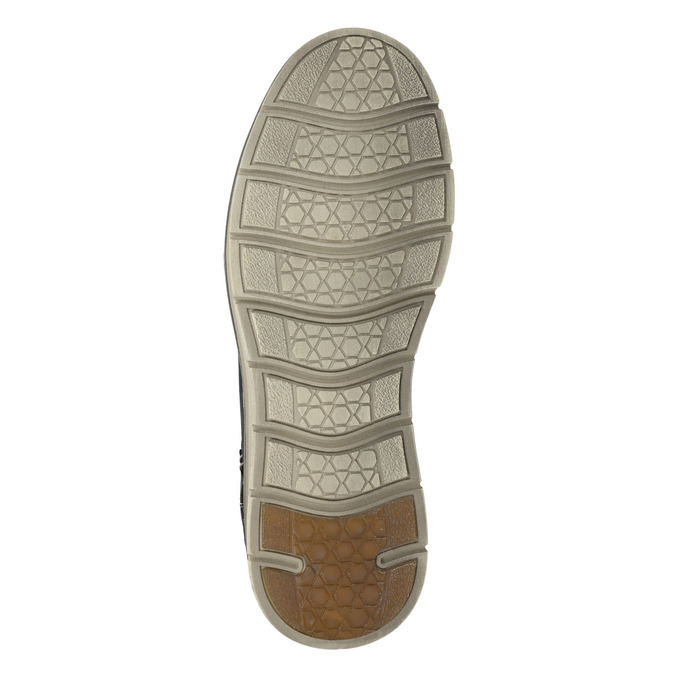 The overall comfort is provided by a soft insole that nicely shapes to your foot. 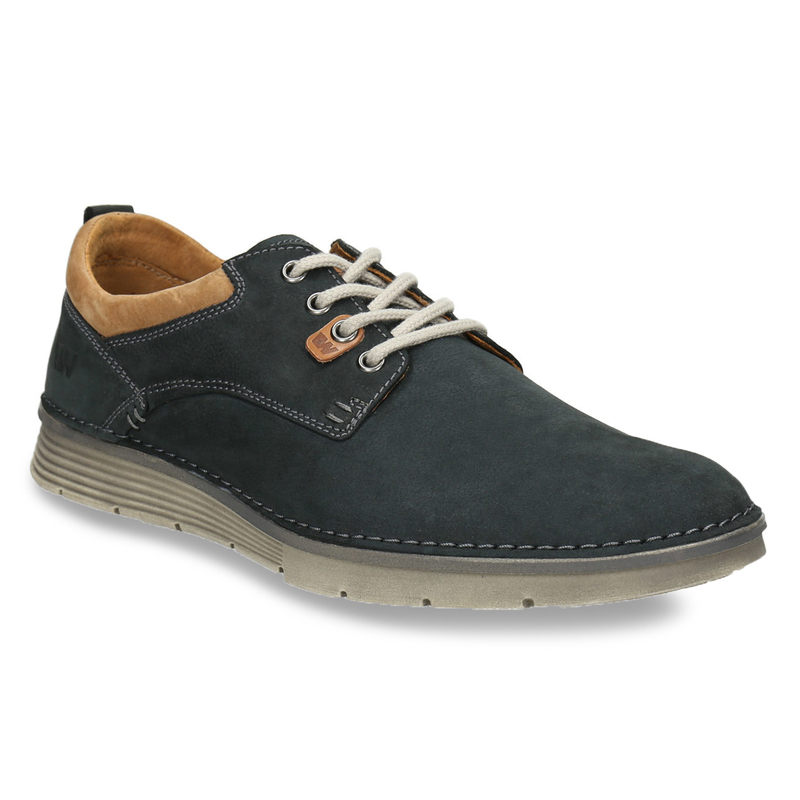 It goes well with jeans and Chinos trousers and will complement your casual style.